Jaitley said that Aadhaar under the erstwhile United Progressive Alliance (UPA) government was "inadequate" because of its contradictions and indecision. 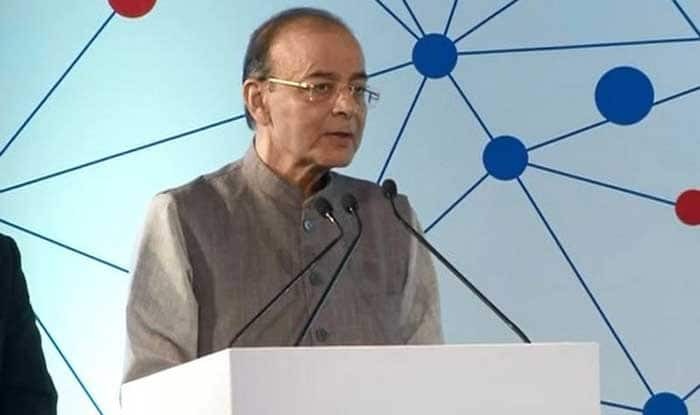 New Delhi: Finance Minister Arun Jaitley on Sunday heaped praises on Prime Minister Narendra Modi for the evolution of the Aadhaar as a “game changer”, saying that the Unique Identity Number (UID) has helped the government save around Rs 90,000 crore in the last few years by eliminating several duplicate and fake beneficiaries. In his latest blogpost, Jaitley took a dig at the Congress saying that the Aadhaar under the erstwhile United Progressive Alliance (UPA) government was “inadequate” because of its contradictions and indecision. “The government estimates that Rs 90,000 crore have been saved in the last few years till March 2018 by the use of Aadhaar. Several duplicate beneficiaries, non-existent beneficiaries and fake beneficiaries have been eliminated. “The Digital Dividend Report prepared by the World Bank estimates that India can save Rs 77,000 crore every year by the use of Aadhaar. The savings through Aadhaar can fund three schemes the size of Ayushman Bharat,” said Jaitley. He said the Aadhaar under the UPA being non-statutory, posed a serious legal challenge. “The UPA itself was a divided house. While Nandan Nilekani pushed hard, a senior minister blocked it. The Prime Minister was indecisive. The enrolment continued, though at a very moderate pace. “The UPA legislation was inadequate. It provided for the methodology by which the UID would be issued. It did not contain adequate safeguards on privacy. It did not mention for which purpose the UID would be used,” he said. Listing out the benefits of Aadhaar, Jaitley said that in the last 28 months, over 122 crore Aadhaar numbers have been issued, covering 99 per cent of the country’s adult population. Pointing out that 2,579 crore authentications have been undertaken till date, Jaitley said: “Everyday, 2.7 crore authentications are done. UIDAI has the capacity of 10 crore transactions to be authenticated per day,” he said. “Many state support schemes, including some by the Direct Benefit Transfer (DBT) mechanism have been linked to Aadhaar. 22.80 crore of PAHAL and Ujjwala beneficiaries are given cooking gas subsidies through DBT in their Aadhaar-linked bank accounts. This apart, “58.24 crore ration card holders stand linked. 10.33 crore MGNREGA card holders get wage payment through DBT in their bank accounts. So do the 1.93 crore beneficiaries and other beneficiaries of the national social assistance programme. The Income Tax Department has already linked 21 crore PAN card holders with their Aadhaar numbers,” Jaitley said. “In most schemes the DBT takes place to the beneficiaries’ 63.52 crore bank accounts that had been linked with the unique identity as on December 15, 2018. The total number of subsidy transactions through Aadhaar are almost about 425 crore. The total amount of subsidy transferred through Aadhaar now equals Rs 169,868 crore. “With the elimination of middlemen, the benefits go directly to the bank accounts. This is a unique technology implemented only in India. The monies saved through Aadhaar is money fruitfully employed for the poor elsewhere,” he added. Jaitley said that in the last 28 months, over 122 crore Aadhaar numbers have been issued, covering 99% of the country's adult population.